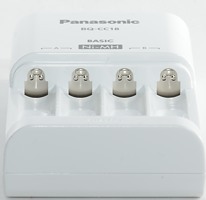 Panasonic has a line of NiMH chargers, some are fast and smart, others dumb. This one here is a very slow and very dumb charger. I found this charger on ebay from akkuland. I got the charger in a blister pack. There was no extras, only the charger and a instruction sheet. 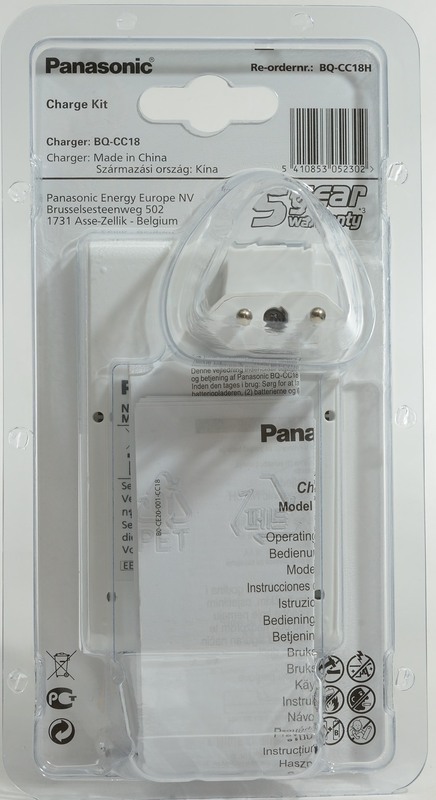 The instruction sheet specifies charge time for different cell capacities, from 5 hours for a 1000mAh AA to 12 hours for a 2500mAh AA. 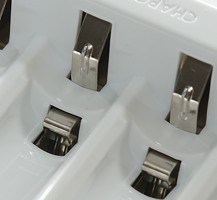 The charger is designed with a foldable US plug. But when sold in EU a EU plug is clicked on above it. 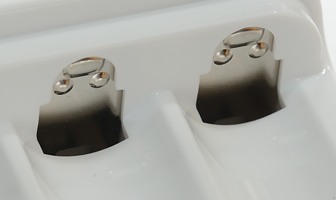 The only user interface is two leds, one for slot #1 & #2 and one for slot #3 & #4, i.e. 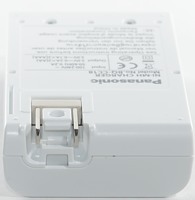 the charger can only charge two or four batteries at a time. 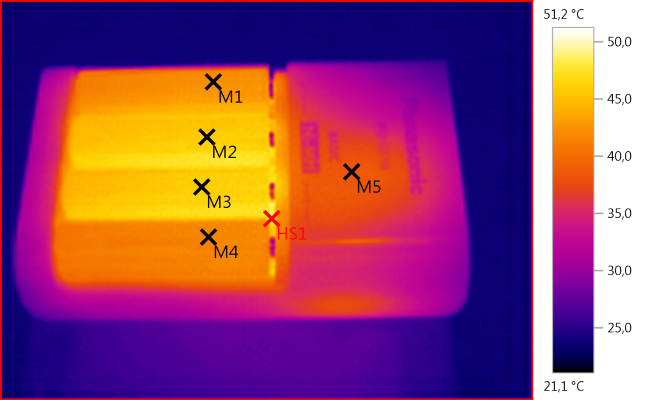 The leds is green while charging and will flash on error. When charging is done they turn off. Steady green light is charging, the light goes out when done. Can only charge in pairs. 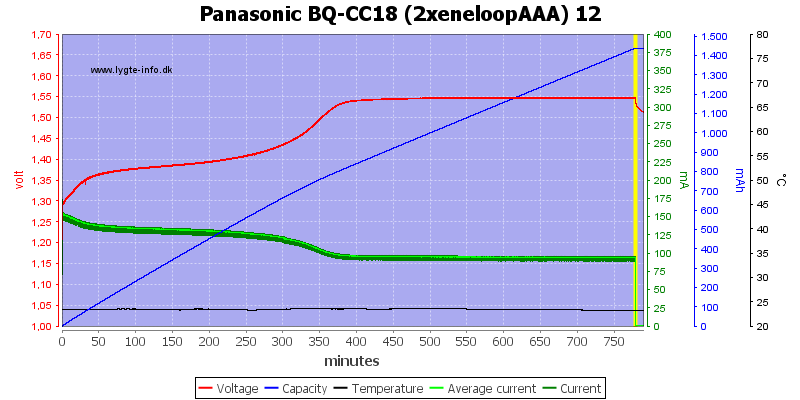 The two cells is fully charged and a bit more, using about 12.5 hours. 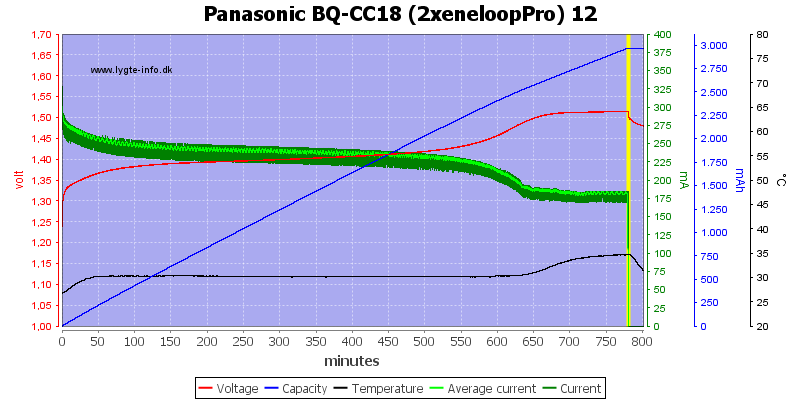 This looks like the charger uses a fixed charge time. There is no surprise with the second channel, it uses exactly the same time. 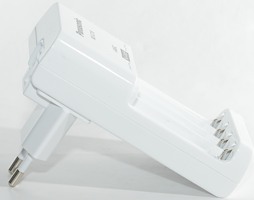 The charge time is long enough to fill higher capacity cells and also over charge them a bit. 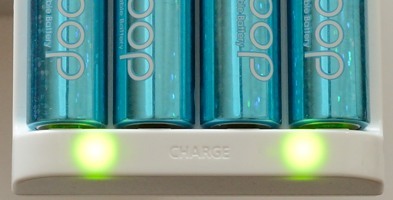 Charging AAA cells will reduce the current and use the same time. 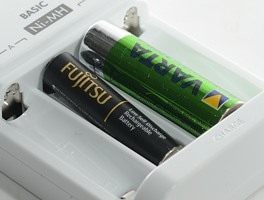 Four batteries do also take 12.5 hours to charge. 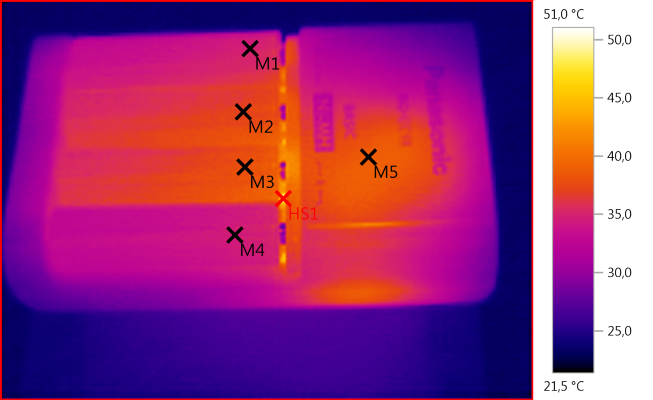 When the batteries are full they will get rid of the extra energy as heat. The charger start fast. 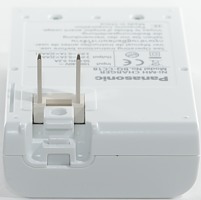 I wonder about the pulsing, the charger do not measure any voltage to terminate the charging. 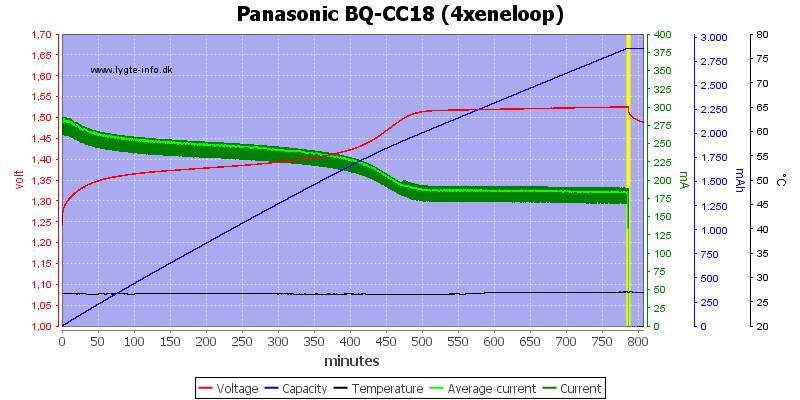 The first chart was with two cells, here I tries with four cell, it looks exactly the same, i.e. no time division of a single charge circuit, the charger has two charge circuits. With AAA the current is reduced. 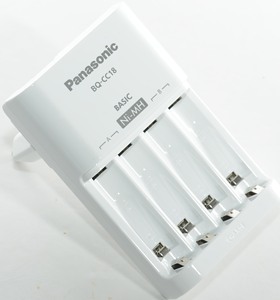 This charger do always need 13 hours before it says done, the manual recommends to unplug the charger after the specified charge times for the different cell capacities. 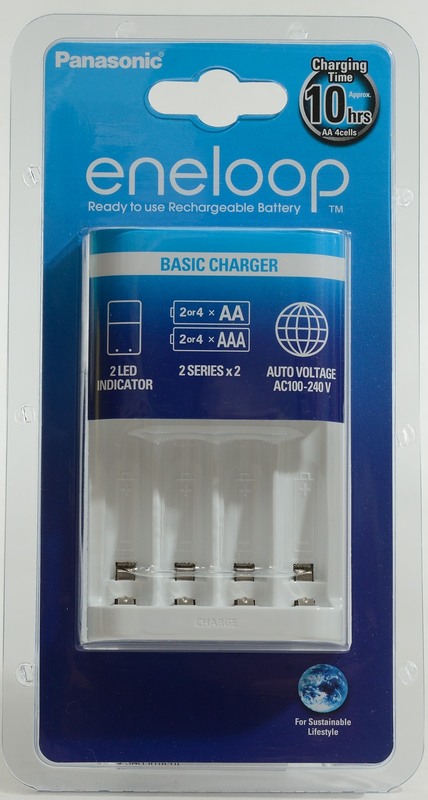 It is not a good idea to charge full or half depleted batteries on this charger, it is best to charge only empty batteries. 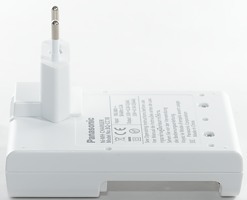 I do generally not like this type of charger, it is hard on the batteries, because it always overcharge, but it may charge old mostly worn out batteries.